Pollination is crucial for a good and healthy crop: without pollination, most crops will not develop or develop optimally. Most horticultural crops (especially tomato, sweet pepper , egg plant, zucchini, strawberry and melon) depend on insects (eg. Bumblebees) tor the transfer of pollen, but greenhouse plants, are out of reach of wild pollinators. 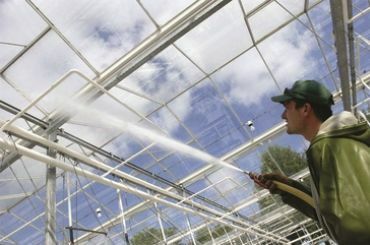 The impact of plant disease in the horticulture business can be enormous. The importance of good cleaning and disinfection is recognized more and more. Key focus is on hand disinfection. With this you minimize the chance of diseases and pests entering or spreading through people. You can never take chances concerning hygiene. Plant diseases and patghogens can be spread in all kinds of ways, eg. Through people, air, water, plant material, insects andtools. Business hygiene occupies itself with repelling and suppressing these diseases and pathogens within your crop. To handle a working method that is as hygienic as possible, drawing up a hygiene plan is adviced. When using liquid cleaning or disinfection methods, the efficacy of the product always depends on the interaction between the application time and concentration. Even though a grower can influence the concentratio, this is not always the case with the application time. This depends on application techniques and climate conditions. With foam as a cleaning or disinfection method you can also influence the application time. 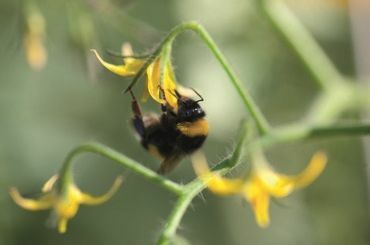 Bumblebees are used as natural pollinators in horticulture. Bumblebees are offered in special hives, where the build a nest. These hives are the bases from which the bumblebees spread through the crops. It is important to position these hives in the right areas for optimum pollination. Keep several points in mind with this. We will itemize these points for you. 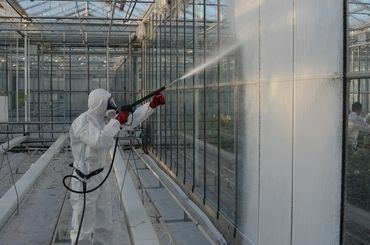 Royal Brinkman offers a total package for crop protection in professional greenhouse horticulture: from chemical pesticides, additives and biological crop protection through the use of natural enemies to disinfection and cleaning agents. Crop protection and disinfection are important parts of the cultivation process, because it prevents and controls pests and diseases. With the help of crop protection you take measures that stimulate the growth of the crop. For example, the controlling of diseases and pests in the crop. This can be done with both chemical and biological pesticides. The combination of professional specialists, training courses, scouts and a wide assortment, supplemented by products/services specially developed for and by Royal Brinkman, make the difference. Every day our crop protection specialists are working on the question of how to control diseases and pests effectively by using as few pesticides as possible. 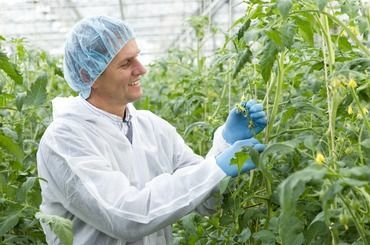 Our specialists will be happy to help you with the integration of an integrated crop protection, using as little chemical pesticides as possible, using biological pest control in accordance with the latest insights into the choice of products, environmental aspects, costs and current events. With the wide range of chemical and biological crop protection from suppliers such as BASF, Bayer Crop Science, Certis Europe, Agrobio and Syngenta, Royal Brinkman always provides you with the right solution with the aim of promoting the growth of the crop and combating diseases and pests. Today pest management does not only include insects and fungi, but bacteria and viruses as well. 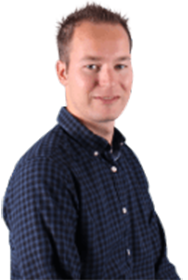 Specialists advise growers worldwide to use a complete and professional hygiene management system. Royal Brinkman distinguishes itself by a wide range of cleaning products and (especially for horticulture developed) disinfectants for surface and water disinfection. 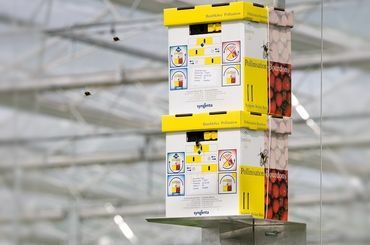 Advising and supplying the appropriate application equipment makes the Royal Brinkman package complete for the future-oriented horticulture.